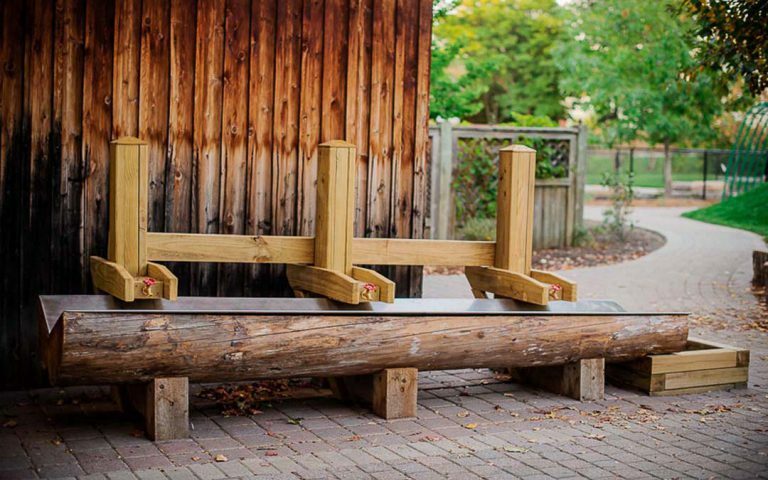 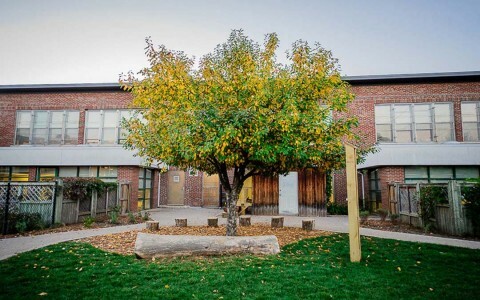 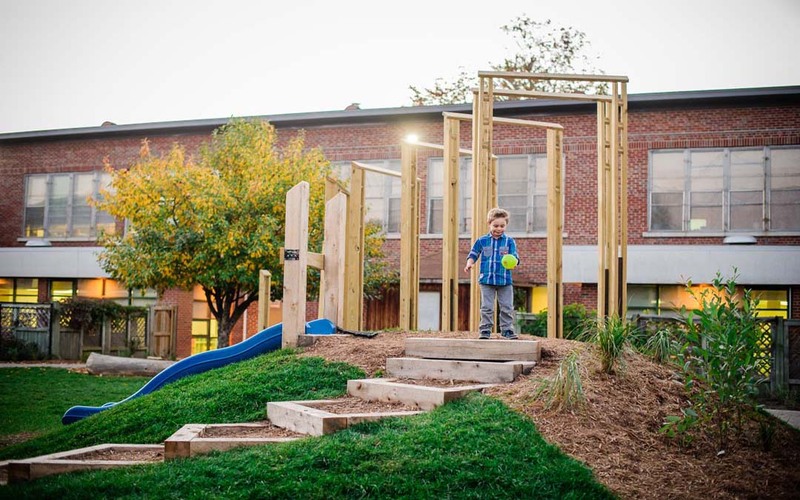 The playground design at Ottawa Montessori School makes full use of the outdoor space available to children and adds a large variety of play experiences that encourage active, social, creative and imaginative play. 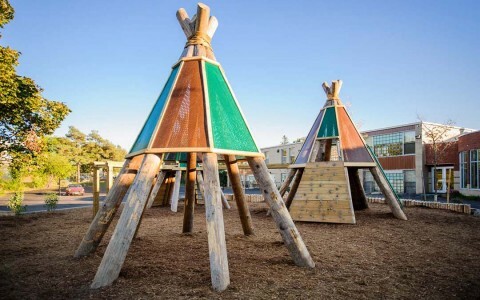 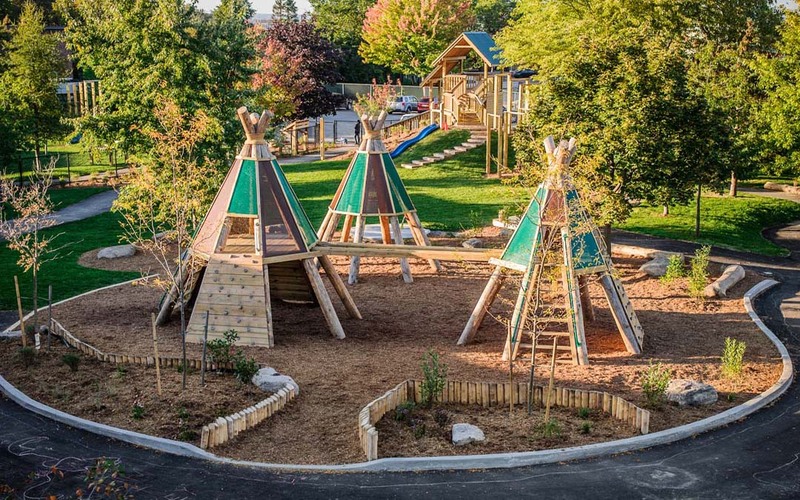 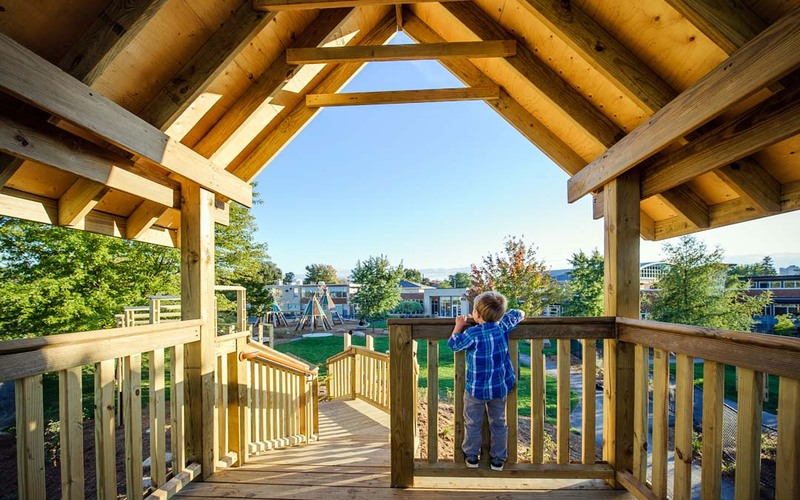 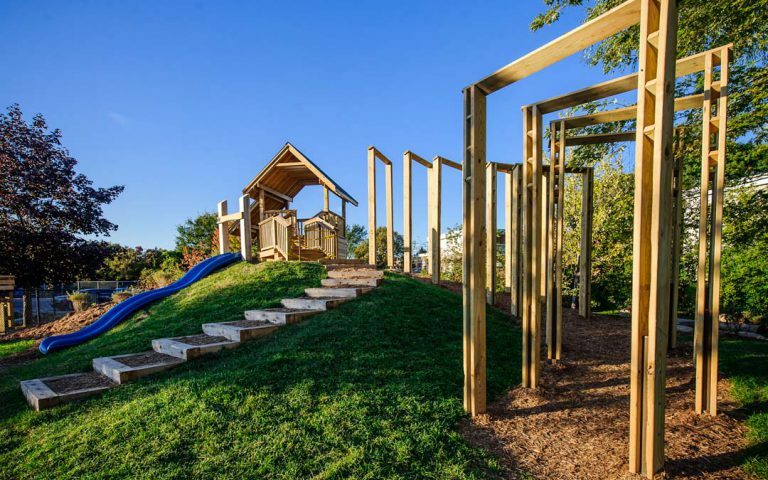 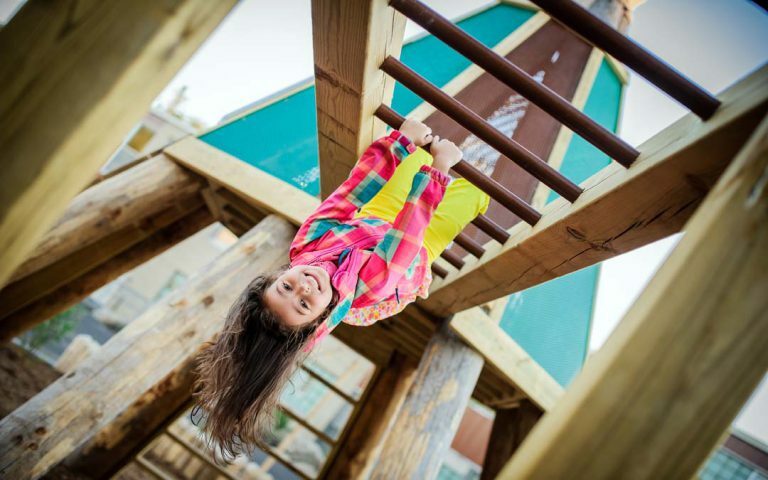 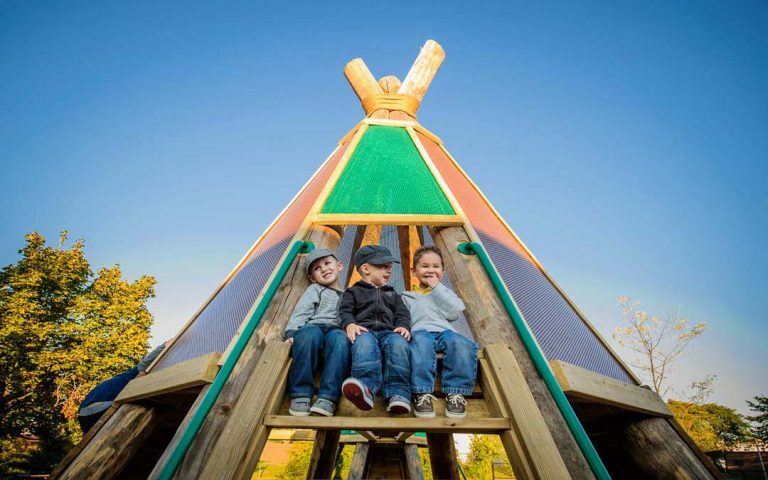 At the centre of the play space, three linked teepee-shaped climbable structures attract children to climb up, swing between and run through the timber beams. 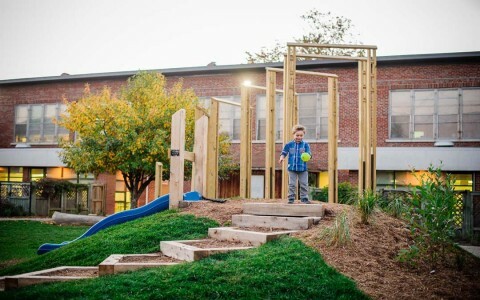 Pathways interconnect to a multitude of hubs for creativity and activity. 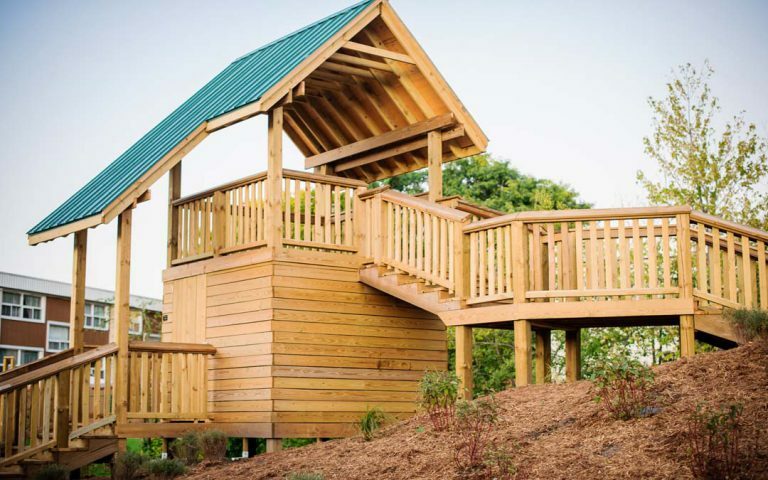 A lookout hut built high up on a berm encourages children to run up and around the hill slide accessed through a winding trellis path or timber steps. 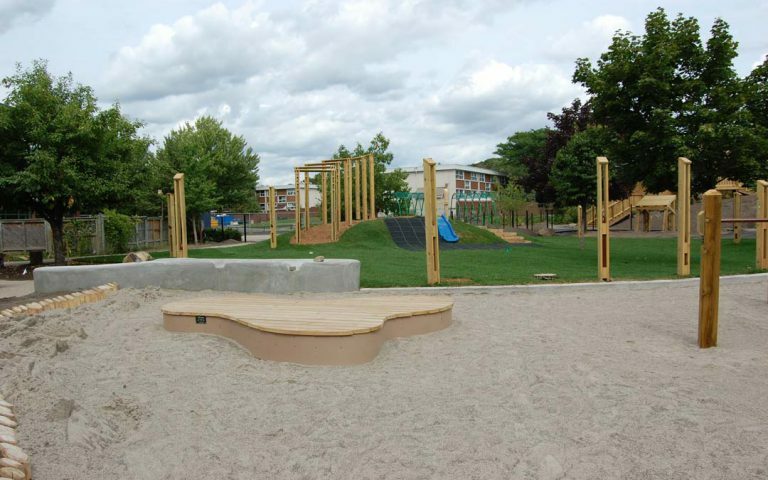 A similar but smaller scaled hill slide and pathway is an ideal play point for younger children to imitate their older school mates. 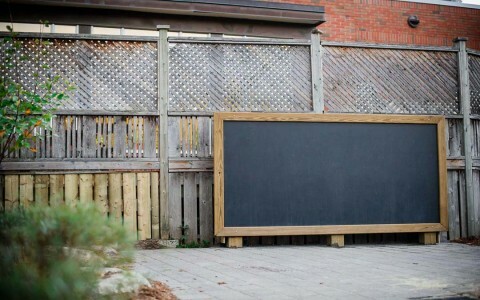 A large chalkboard is one outlet for creativity; a second is in the sand and water play area where children have ample room to build on the deck or on the concrete sculptural form that will drain any water into the sand pit.